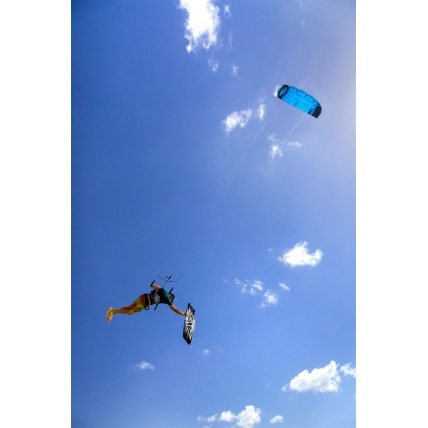 The Ozone Hyperlink V1 is a kite that doesn't conform to traditional types of kites. It sits in many places and can be enjoyed by many riders. Ozone created a design brief of creating a foil kite that is as easy to fly as a inflatable and could be used on all terrains. This is one hell of an expectation but if anyone could have done it then it was Ozone with their years of experience with foils for land and snow and also vast inflatable kite range. When we first heard of the Hyperlink then we were unsure of who would use the kite as it didn't really have an existing place in the market. But after flying it on numerous occasions on land and water we now know it's place, in the back of the van to use at every opportunity! The Hyperlink kite is at home on the land as much as in the water and it just feels right in the air. We have had it in the hands of many people on our demo days and the feedback has been awesome on it's ease of use, it just works! High performance race foil kites along with hydrofoils have really been pushing the envelope of what is possible but there is always a trade off for that performance and it's generally the ease of handling. With the Hyperlink Ozone have merged the techniques they have used on the snowkites for years and the performance race foils to create a high performance kite with super easy and robust handing. This kite is called a low aspect foil but is actually still a moderately high aspect ratio compared to a inflatable but no where near the chrono, the bridle is reduced and simplified to avoid tangles and the response on the bar and in the sky is quick for a foil. You don't compare size for size with inflatables as you get a few meters more power per meter. The Ozone Hyperlink V1 has done what it was asked for and for any inflatable riders wanting to get into foil kites but are wary of tangles and complexity then it's perfect. 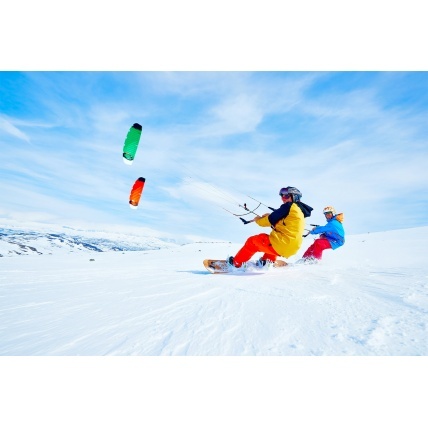 Also people wanting to snowkite and landboard plus get on the water then it is the ultimate crossover kite we have come across. It still boosts big and has loads of float in the jumps and romps upwind like you wouldn't believe. It also will float above your head in lighter winds when a inflatable will be falling. Check out the videos below to get more of a feel about how the kites fly and relaunch plus the design tech talk to get the inside info. I have flown Ozone foils since they started depower back in 2003 and this kite reminded me of when I first flew the Manta high aspect snowkites that were suddenly miles ahead of everything else and just worked. Every time I have flown the Hyperlink I have come back in with a huge smile on my face! On land and on water, open cell and closed cell, 9m or 12m all are super fun. 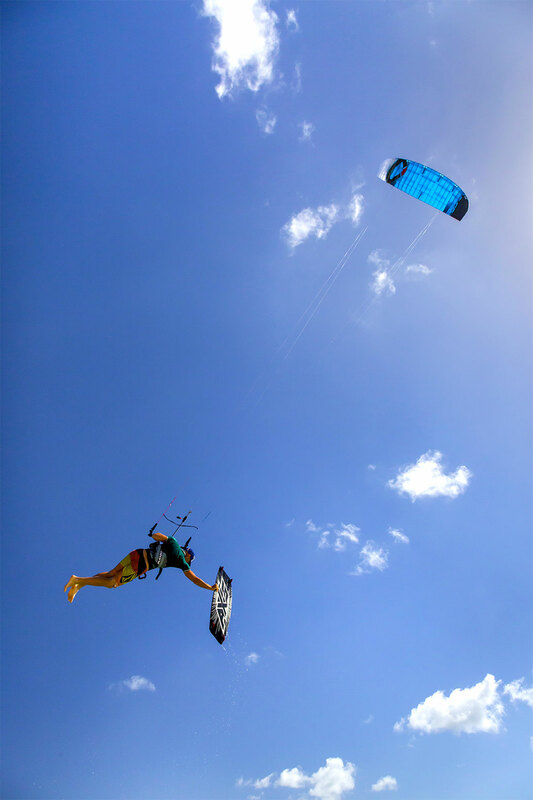 The speed in the air lets you work the kite and really lock in to a solid edge on the water to romp upwind and get that pop into big floaty jumps. On days when people were struggling on 12m and 13m inflatables on the water then the Hyperlink 12m was romping around. I think in some conditions on a standard board the 12m is still a underpowered to a 17m Zephyr but not much. I wish Ozone would add a 14/15m ultralight to the range and I would be in heaven. Get out there and try this kite it will surprise you no matter your foil experience it just works! The Hyperlink is water re-launchable, but it is recommended that you keep it in the air and out of the water if possible. There is a drainage system in the wing tip that allows some water to drain out. We don't recommend you use the kite in waves. If new to foil depower kites check out the launch and how to videos to launch as these will make life easier for you. Always use the Hyperlink with a Ozone foil bar with a brake handle. This is the handle spanned between the back leader lines on the bar. This makes it easy to grab which makes inflation, self-landing and reverse launch much simpler and easier. There is a simple effective flag out release in the 4-line mode which is fine for most riders on land and water. 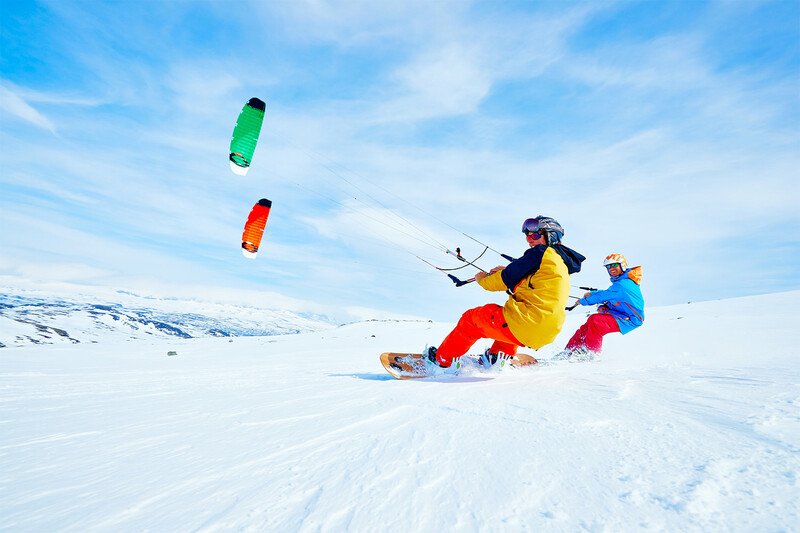 If you need more of a instant kill in situations like snowkiting then there is an optional 5-line re-ride system. This only works on open cell mode. After releasing to flag out you should check the speed system, lines and bridles for twists before relaunch. The hyperlink is unique in being able to change between these two modes depending on the terrain you are riding. Closed Cell Mode is recommended when riding on water for relaunch. Inflation is quick and smooth after pre-inflating the kite before launch. 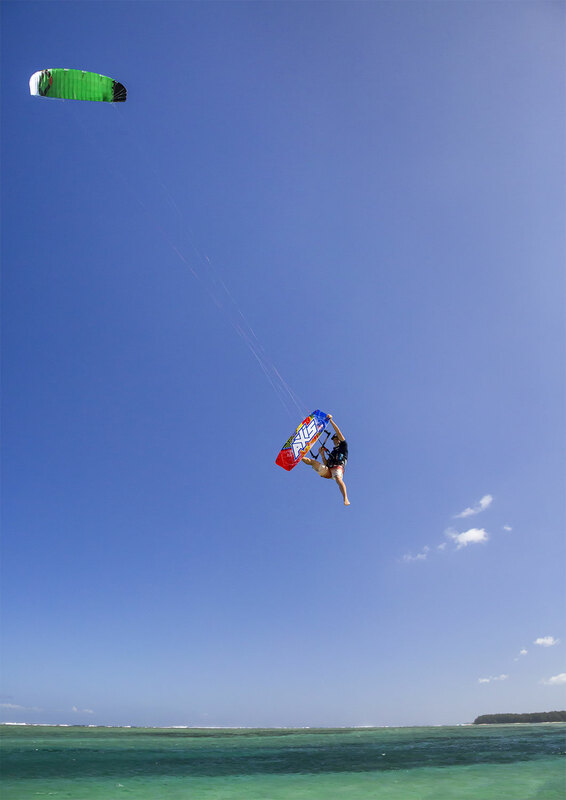 If you are already an inflatable kite rider it will only take you one session to get to know the Hyperlink. Once the kite is in the air and powered up the similarities to a traditional inflatable kite can be easily felt. 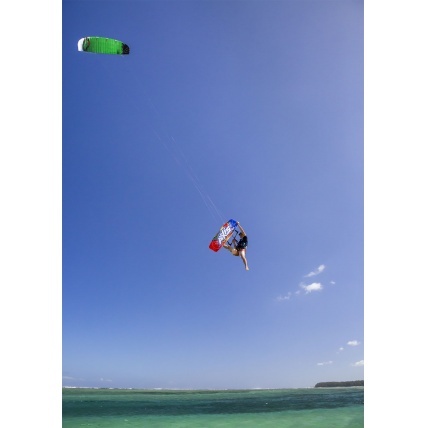 Ideal for Hydro Foil Board riding, the Hyperlink produces more power than an inflatable kite size per size - this means you can use a smaller more manoeuvrable kite to generate power. The stability and lift produced as the Hyperlink flies through the zenith help moving around on the board and changing directions in tacks and gybes. It can be ridden with the 4-line safety or the 5-line mode depending on your requirements. There are two foil bars that work with the hyperlink. To be honest the standard freeride foil bar is what we would recommend for most users as it's built around having fun with the kite. 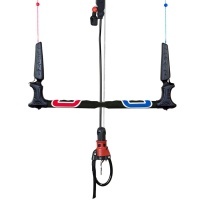 The race bar has a longer trimmable depower rope to lock in a long tack leaning back on the bar perfect for a race rider. Both bars work but the race is more specific and you end up with a long floaty bit of rope if you want to freestyle! 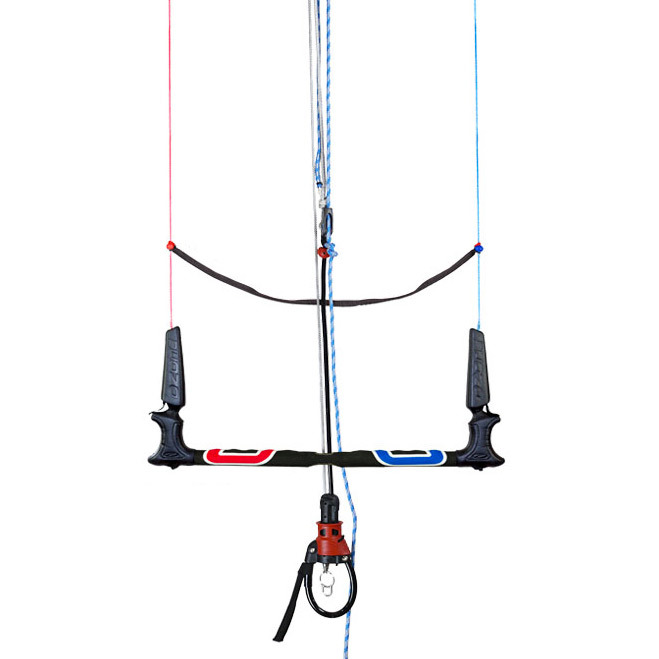 The kite will fly on a standard ozone bar but we don't recommend it as the landing handle is super important for safety and general ground handling.